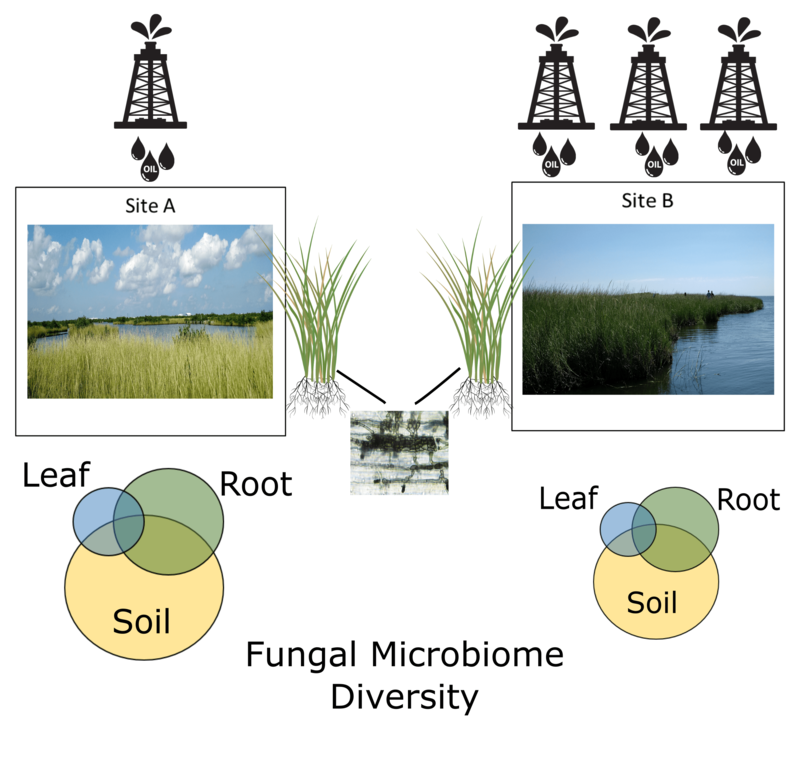 Congrats to Candice and co-authors for their work on the endophytic and rhizosphere fungi of Spartina alterniflora – published in Science of the Total Environment. They compared heavily oiled and non-oiled areas and found that fungal community shifts are still evident in the heavily oiled areas, even six years after the oil spill. More oil means less fungal diversity. Here’s the graphical abstract and a link to the article: Persisting responses of salt marsh fungal communities to the Deepwater Horizon oil spill.